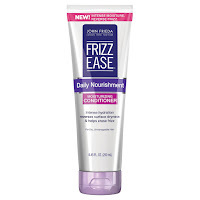 I've raved about several of the John Frieda Frizz Ease products over the years, and now there are 3 more you'll want. The new John Frieda Frizz Ease Daily Nourishment line is designed to give an extra boost of moisture to hair, reduce frizz and of course, keep hair from drying out with daily cleansing. 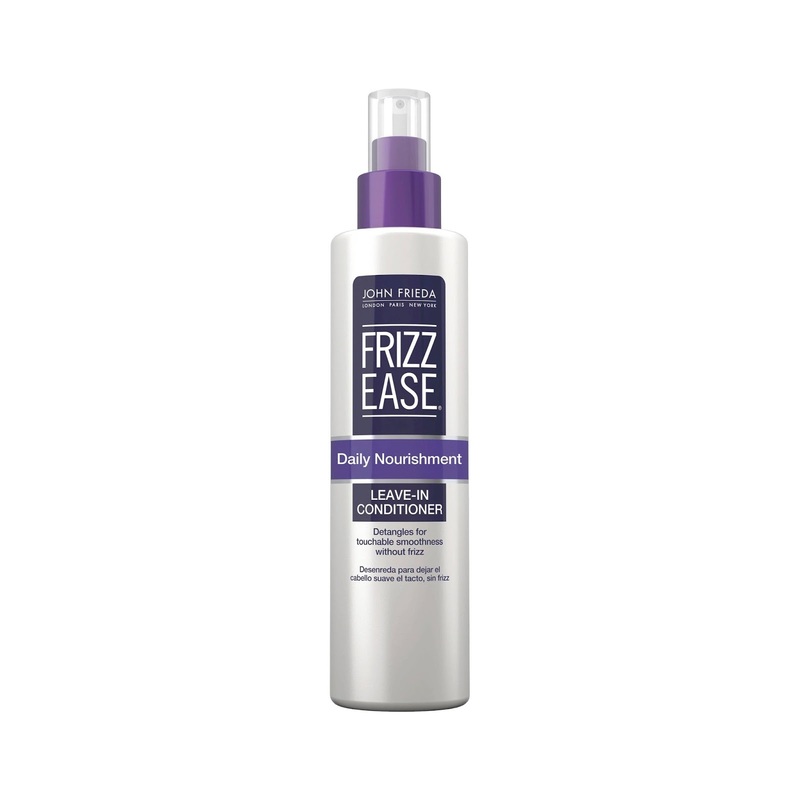 I loved using this line on my relaxed hair, and it was perfect for my little one's naturally curly, dry hair too. 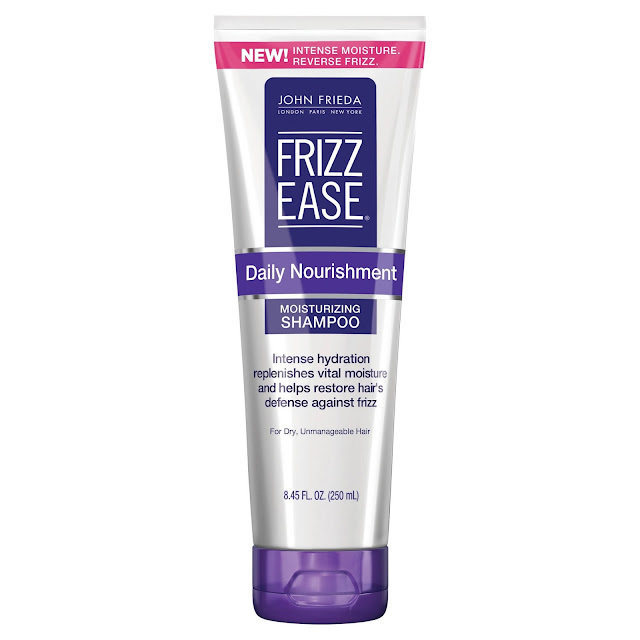 Both the John Frieda Frizz Ease Daily Nourishment Moisturizing Shampoo and the John Frieda Frizz Ease Daily Nourishment Moisturizing Conditioner had a fresh, slightly floral scent and a creamy thick texture which rinsed out easily. With both the Nourishment Moisturizing Shampoo and the Daily Nourishment Moisturizing Conditioner, my hair felt smooth and soft, but without any extra weight or gummy feel. The hydration was immediate and also soothed my scalp. Even after air drying or using heat, my hair looked and felt hydrated and healthy. For my daughter, frizz was completely gone and her curls were shiny and nicely defined. 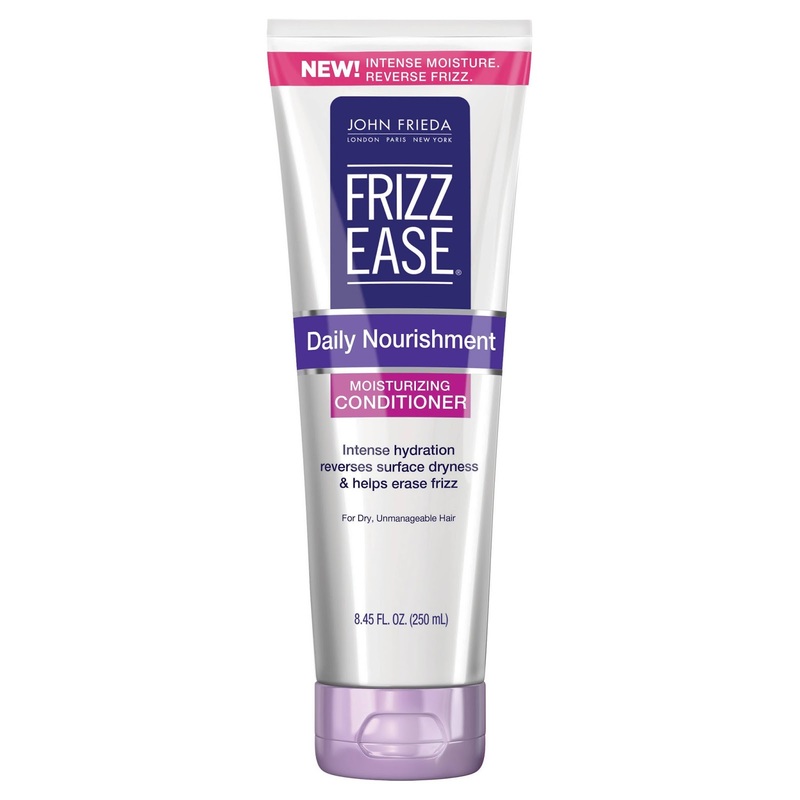 Another great product for those with curly/wavy hair is the John Frieda Frizz Ease Daily Nourishment Leave-in Conditioning Spray. After the shampoo and conditioner I sprayed it on wet/damp hair. I was seriously impressed. The wide tooth comb or detangling brush just glided through my daughter's hair and left it smooth and soft after it dried. 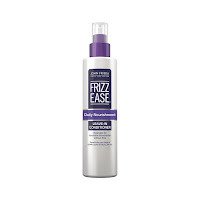 This can also be used to refresh curls at the end of the day or on very humid days, but hair must be misted with water first (it's not meant to be sprayed on dry hair). *These products were provided courtesy of John Frieda PR for reviewing purposes.